We had a full house in our Shoreditch pop-up store last week for our first ever Fnatic Presents event! 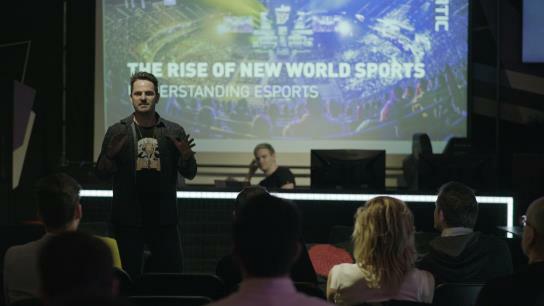 Our focus on this occasion was to present esports from Fnatic’s point of view to businesses looking to find their route into the industry. Some of London's top agencies were in attendance, along with a spectrum of brands and businesses who work predominantly in traditional sports. We were able to tell the story behind the numbers and leave the attendees more informed, more curious and ultimately inspired. Duncan McMonagle from Minute Media was able to join us in a panel session where we delved deeper into the narrative, discussing how brands can tap into the millennial demographic by creating new and engaging content through esports. Owner and founder, Sam Mathews. We’re very pleased to say the event was a rousing success, and we’d like to extend a sincere thanks to all those who attended - we hope to see you at the Bunkr again soon.